I made this to test some ideas for a game I'm developing. Feedback would be appreciated. The number on a black triangle is the sum of its adjacents' numbers. We may rotate each pieces so that the corners inside the board are squares and circles. 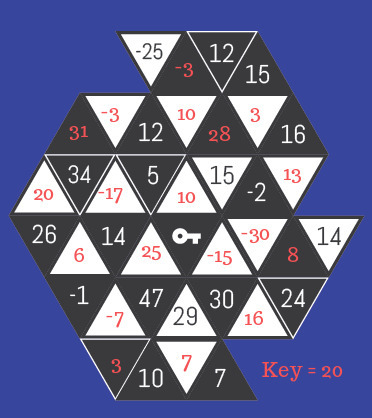 Then, look at the triangles (and its values), sum them to get the key. The word on the right is the antonym of the word on the left. For the numbers, sum the value of black circles. The value is the position from the right side. @: inverse (black to white, white to black) all circles. #: inverse first half of circles. %: inverse last half of circles. $: add 2 white circles in the end. Now we must identify the symbols replacing X, Y, and Z. As the inverses are commutative, \$X% will be the same as \$%X, this allows us to identify each letters easier. For each colors, we may "mix" the keys from previous puzzles. 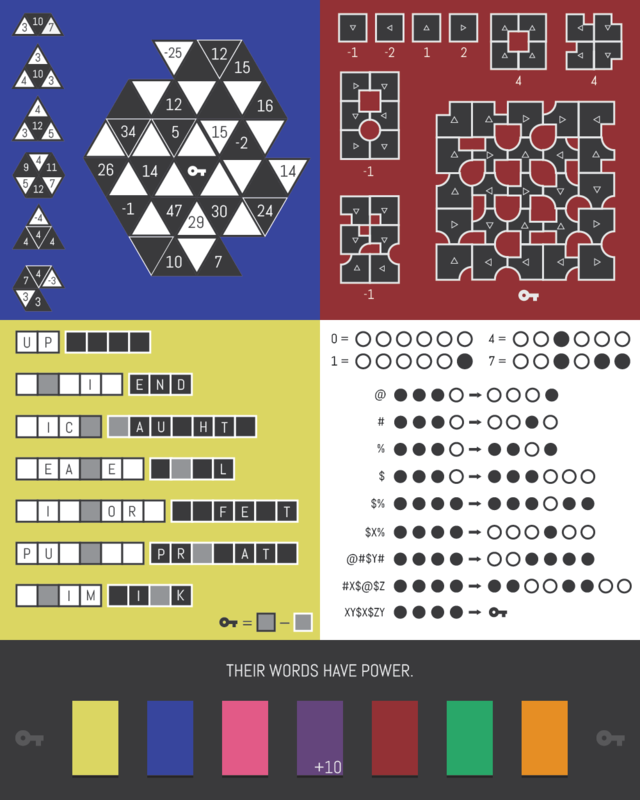 Then the numbers can be converted to letters (of 26). Anagram it, we will get WITCHES, as their words have power. Not the answer you're looking for? Browse other questions tagged word enigmatic-puzzle visual arithmetic or ask your own question. What photos do I love?